Trish Luker is based in the Faculty of Law, University of Technology Sydney. Her primary research interests are located at the intersections of evidence law, legal decision-making and documentary practices. Until the late 20th century, ‘an archive’ generally meant a repository for documents, as well as the generic name for the wide range of documents the repository might hold. An archive could be visited, and then also searched, to discover past actions or lives that had meaning for the present. While historians and historiographers have long understood the contests that archives contain and represent, the very idea of ‘the archive’ has, over the last 40 years, become the subject and object of widening and intensified consideration. This consideration has been intellectual (from scholars in a wide range of disciplines) and public (from communities and individuals whose stories are held captive, or sometimes hidden or excluded from official archives), as well as institutional. It has involved scrutiny and critique of official archives’ limitations and practices, as well as symbolic, affective and theoretical expansion and heightened expectation of what ‘the archive’ is or should be. The very language of ‘the archive’ now carries freight as administrative practice, normative value, metaphor, description and aspiration in different ways than it did in the 20th century. 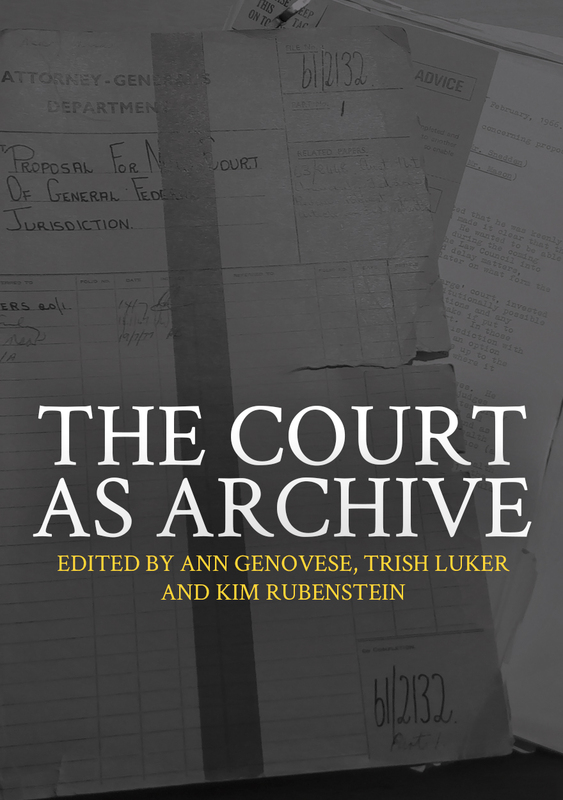 This collection offers a unique contribution to these reinvigorated and sometimes new conversations about what an archive might be, what it can do as a consequence, and to whom it bears custodial responsibilities. In particular, this collection addresses what it means for contemporary Australian superior courts of record to not only have constitutional and procedural duties to documents as a matter of law, but also to acknowledge obligations to care for those materials in a way that understands their public meaning and public value for the Australian people, in the past, in the present and for the future.